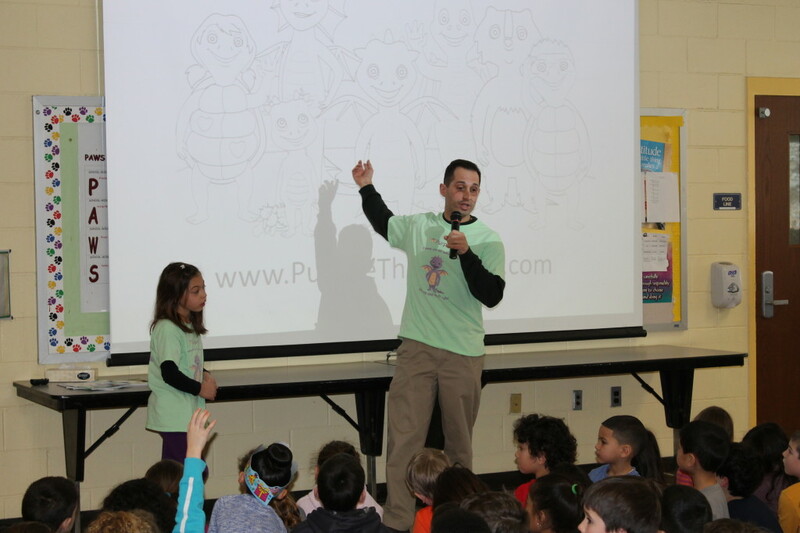 One student even asked, “Are you ever afraid to write?” Purpee the Purple Dragon author Anthony Fasano, responded, “YES! 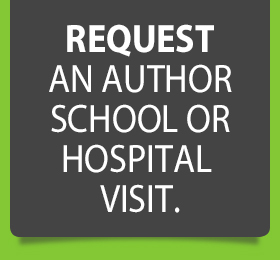 I am still afraid to write, but I push myself to do it and that’s how great books start. It is totally understandable that you are scared, I think we all are at some point, but you can do if you persevere.” The answer prompted a smile from the student. 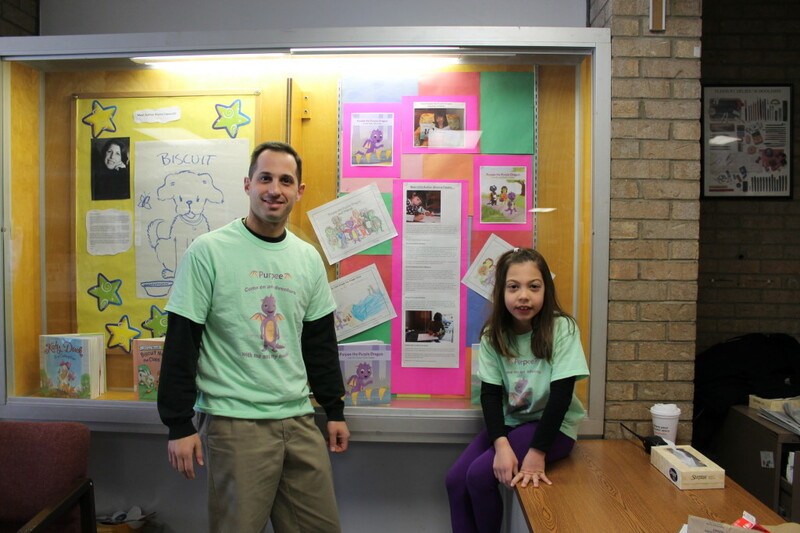 The father-daughter author combination walked the children through the entire process of writing the Purpee books including the illustration process. 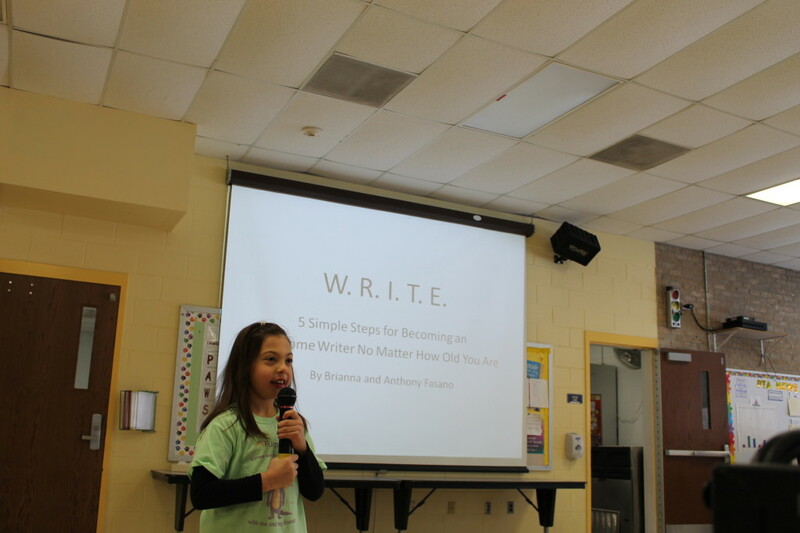 Brianna made it a point to tell the students that she messed up often throughout the process of writing the books. In fact, she even showed them some of her first sketches of “Stinky the Skunk” which had several eraser marks on them. 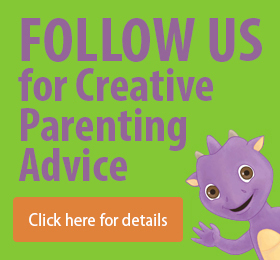 The authors emphasized that ‘messing up’ is part of the creative process and is actually an important part of developing one’s ideas. This seemed to bring smiles to all the kids’ faces. The Purpee authors also used an acronym (W.R.I.T.E.) to give the students easy to remember steps to improve their writing skills. 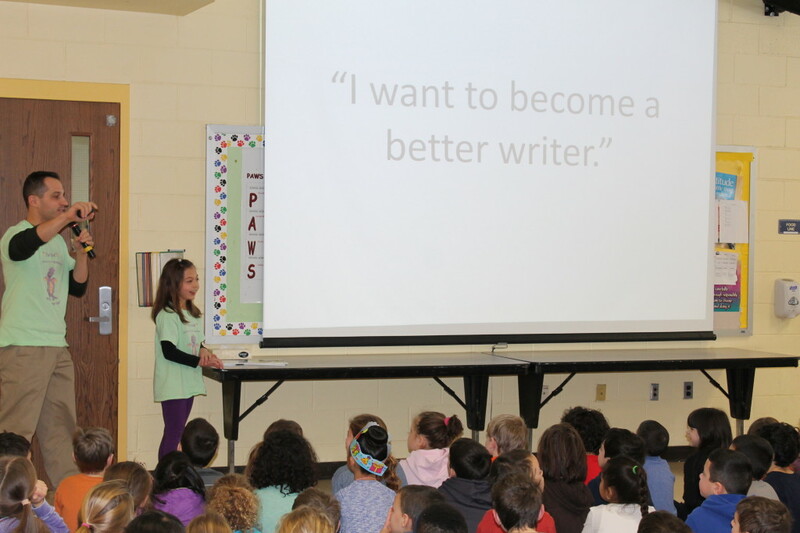 The acronym reminds students that in order to improve their writing skills they should – want to write, read a lot, imagine, tell stories, and do these things everyday. By the end of the talk, the children were screaming out each of the phrases in the acronym – ready to start writing and creating more! 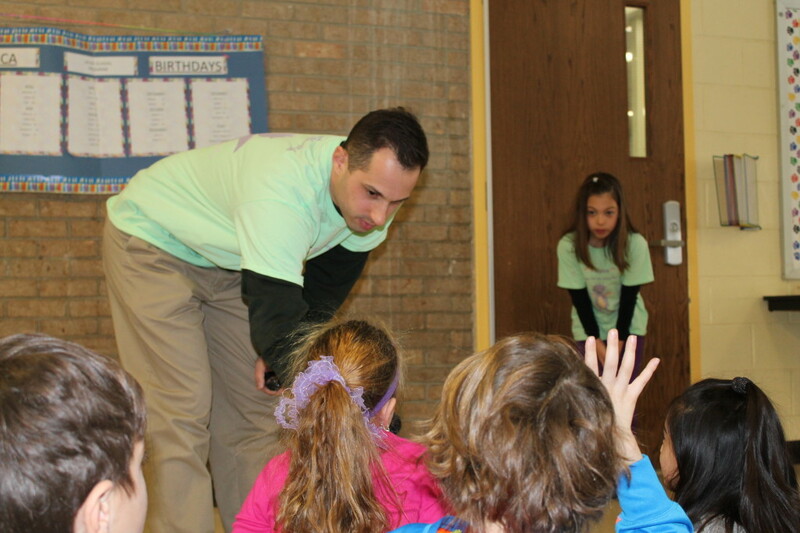 Anthony Fasano will be re-visiting Viola Elementary School in the near future to conduct writing workshops with the students. 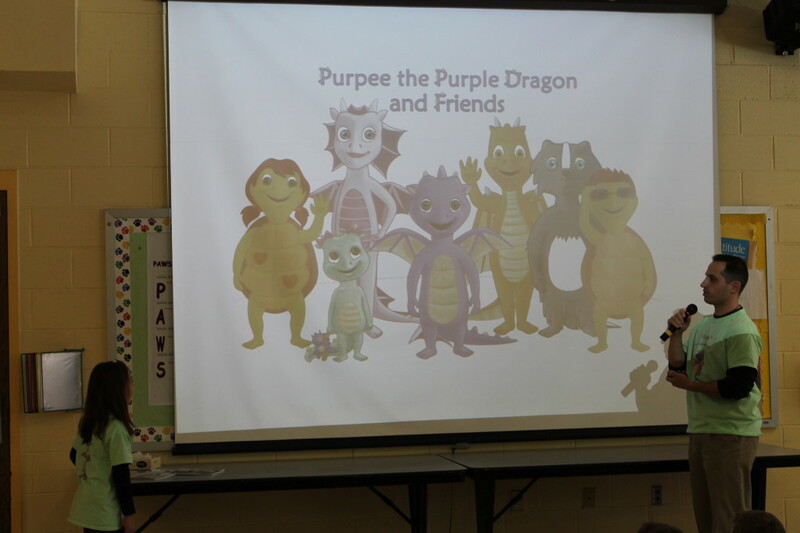 If you are interested in having the Purpee the Purple Dragon authors visit your school please contact us. 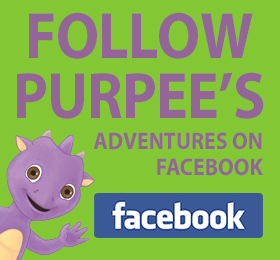 You can also follow our journey on Facebook by clicking here.